P.S: The above poem is a true story that happened to me on Thursday, 28th August. I wrote this that day, but stayed away from the laptop over the long weekend. Hence, publishing it now. P.S2: Love can make anything better. a very good one hon. Yes. Love can make everything allrite...beautiful poem! There are some days where nothing ever goes right. I'm so glad that you got your silver lining :) Hugs! I think only you can be poetic about bad times ! Tell us where he took you to make you feel better ! How do you write such nice poems ?? It is nice to have someone who will cheer you up after a bad day.. I like how you mentioned- Love makes everything better! Lovely -- the end. 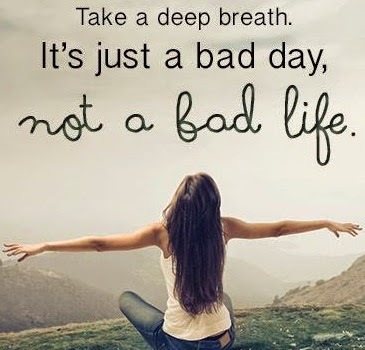 Yes, there are some days that just don't seem to get better. Yet to get it fixed! Thank you. Sometimes when we really feel low, it is the loved one, who uplifts our mood . very beautifully written.